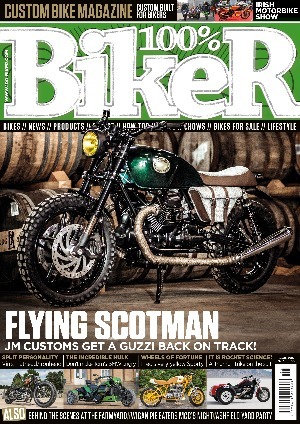 100% Biker is the leading grass-roots custom bike magazine in the UK. 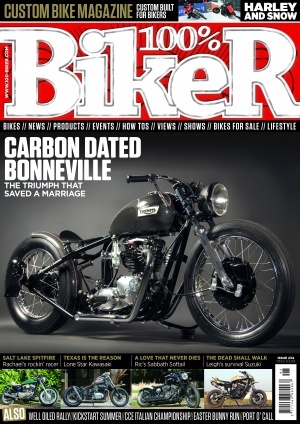 First published nearly ten years ago, it is the Bible for all things custom bike in Britain and beyond, covering the best from the custom bike and biker event world. It features traditional choppers and bobbers, streetfighters, rats, cafe racers, cruisers and custom bikes that don't easily fall into any definable category, and gets out to all the best biker lifestyle events be they the big festivals or one-day custom shows. It also features how-to articles from the leading UK custom builders on both bike and trike building, a comprehensive events listing, a free buy-and-sell listing service for readers' bikes, more pages of readers' letters than anywhere else in the scene, a regular readers' pix feature and possibly the most groan-inducing jokes page anywhere in the modern Universe. 100% Biker - it is, as it says, one hundred percent about biking!